Creeksea SC Phantom Open meeting 10th/11th June. 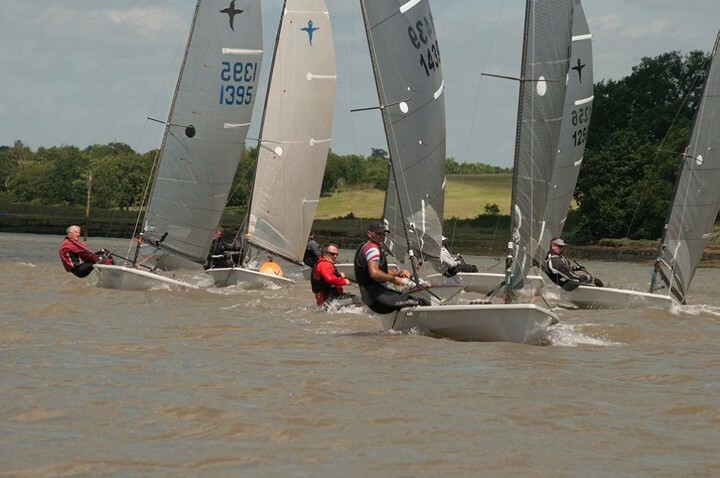 Thirteen boats contested the third event in the Phantom Class Eastern Series at Creeksea Sailing Club near Burnham on Crouch over the weekend of 10th and 11th June. The weather was beautiful with clear blue skies but the wind was a steady 20 knots with larger gusts of up to 30 knots at times. Blowing from a broadly Southerly direction this meant that the conditions were even more like those being witnessed in Bermuda with a close fetch to a windward mark followed by a very fast up river reach to the famous “Cliff / Canewdon” stretch of river which swings to the south giving a hard beat in wind over tide conditions. Race Officers Edwin and Pat Buckley set the fleet off on time for two back to back races before lunch and despite the potential risks of a short first leg to the windward mark the fleet were soon disappearing from view to tackle the tough conditions on the upper reaches of the river. Following a great start Phil Longley made no mistakes to set his stamp on the event with a good win ahead of Ben Falat and Rod Thorpe. 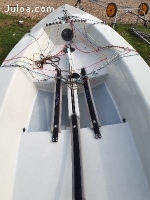 The second race had three fewer boats start due to gear failure and fatigue and it was again hotly contested between Ben Falat, Rod Thorpe and Phil Longley who finished in that order. 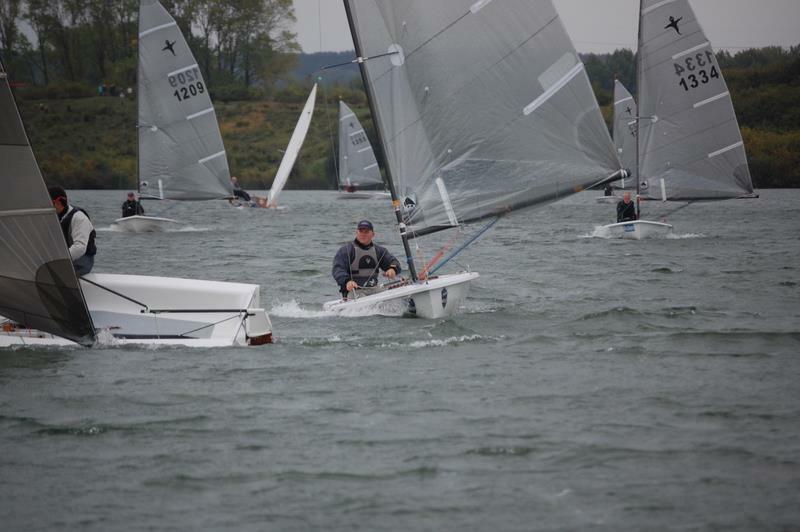 As the wind had continued to rise during the second race it was decided that the proposed third race should be postponed and added to the planned three races for the following day. After a night at the local fleet sponsors - the Polash Indian restaurant - the sailors were a little apprehensive at the news that three back to back races were scheduled for an earlier start time of 10am to avoid the forecast rising winds. The wind had swung a little more to the South and the first leg was therefore a very fast reach to Cliff and a beat up river before returning to the club line. 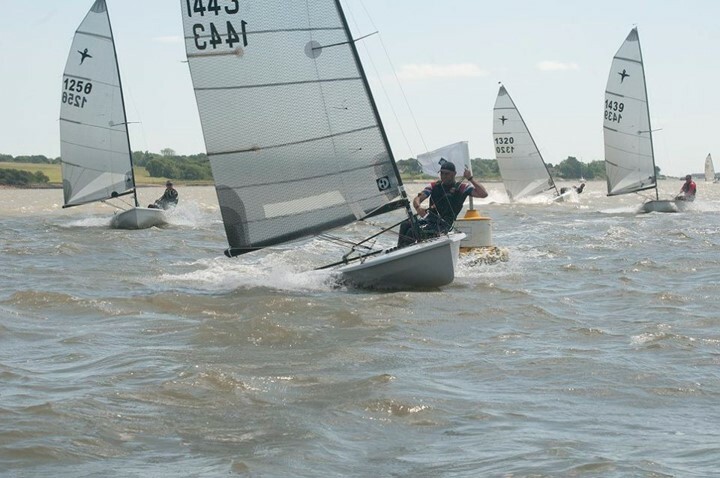 Whilst not a foiling class more than one boat was seen to take off on this long reach with fairly predictable results! Chris Roberts took the first race win ahead of Phil Longley and an improving Roger Smith. The second race was won by Phil Longley ahead of Tim Gold and Roberts. The third race was won by Longley ahead of Roberts and Gold. 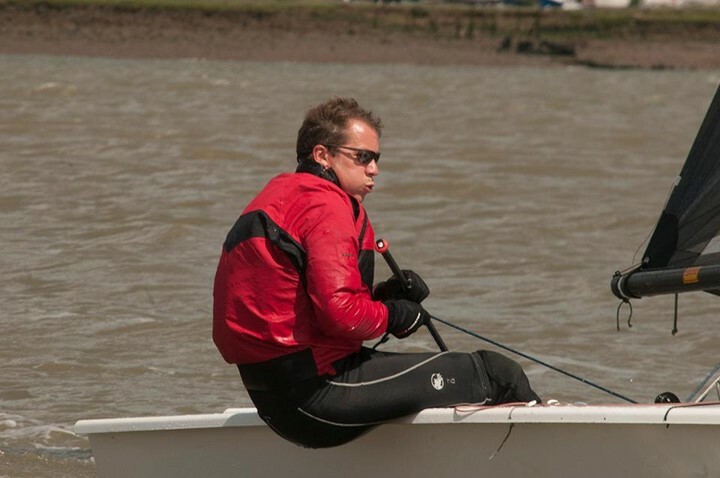 As the sailors were by now looking tired and the wind was forecast to rise further the final race was abandoned. This sealed the event for Phil Longley the Phantom Class Chairman and the fleet was delighted to see him record his first Open Meeting win. 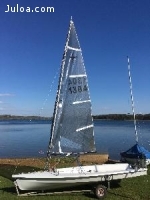 Next weekend the fleet moves on to Stone Sailing Club to battle it out on Longley’s home water and a good fleet is expected at this popular event. Photos all by Alan Shrimplin.